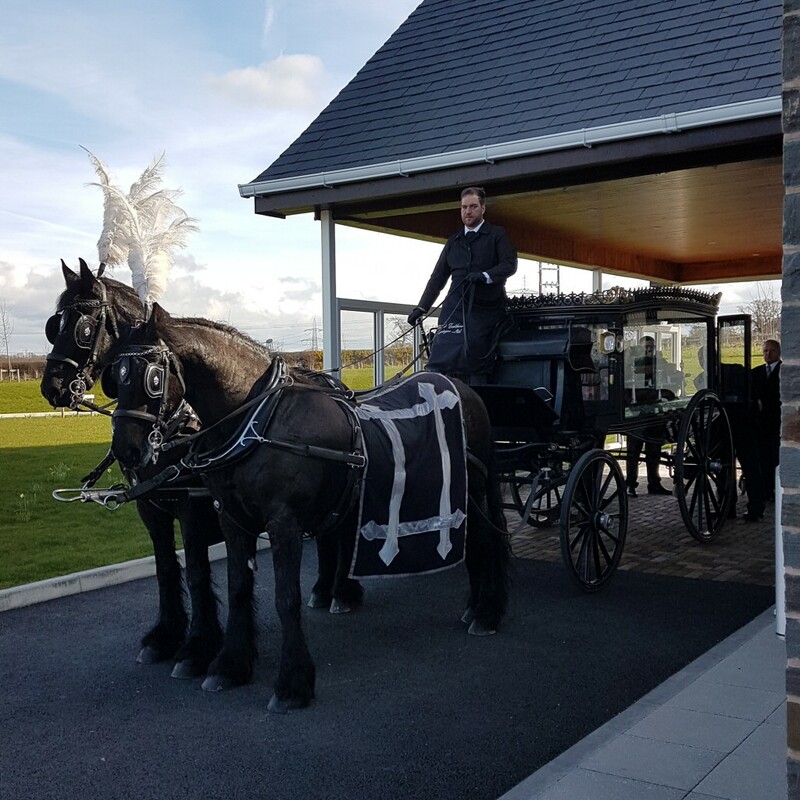 this beautiful horse and carriage was at the Denbighshire Memorial Park and Crematorium this afternoon. 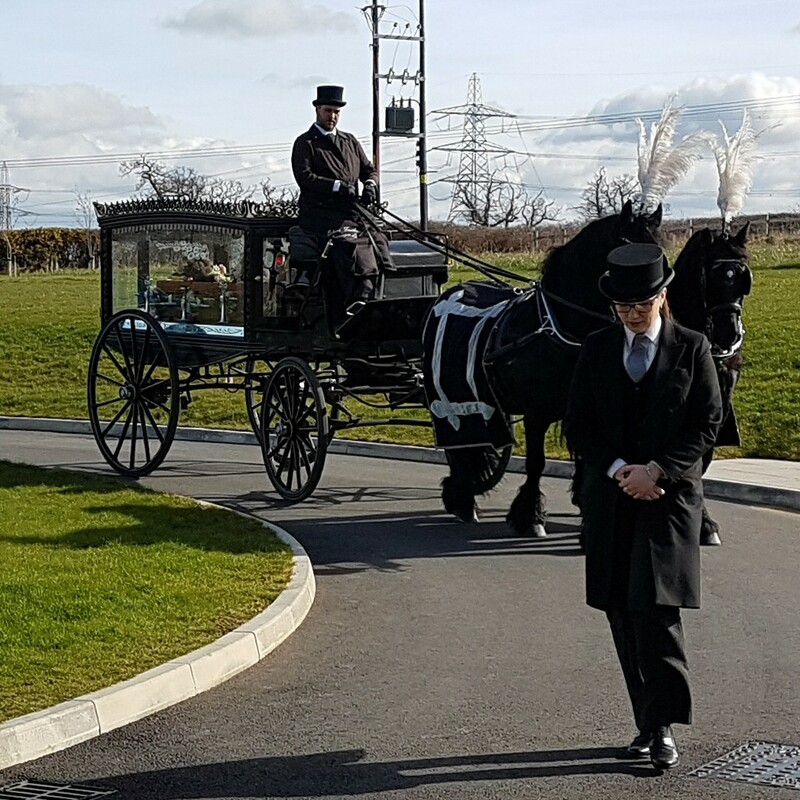 Lauren from Tongs Funeral Services walked in front of Wilbur and Magic from Black Feathers Carriages. Wilbur is partial to mints!